Say ‘orange you glad it’s summer? 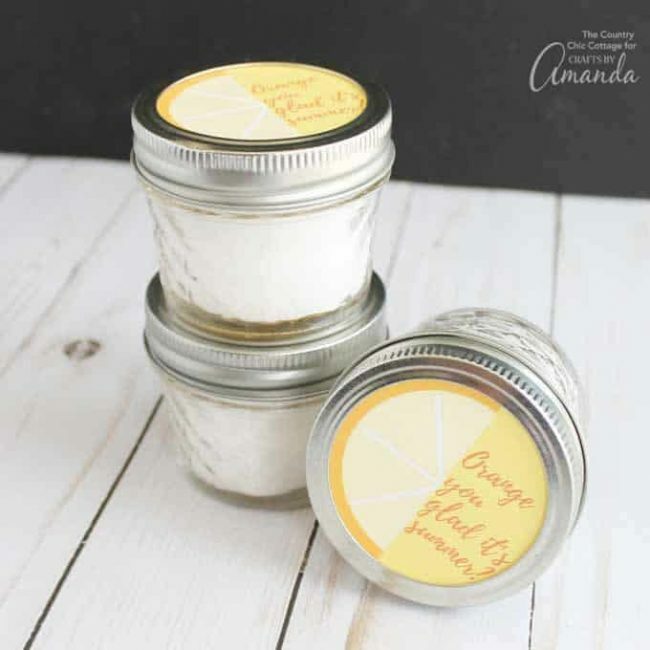 !’ to a special teacher or classmate with homemade orange bath salts. Change up the message for Valentine’s Day, Mother’s Day, or another occasion.